This west-facing beach is small, sandy and overlooks a number of islands in the archipelago. As the name suggests, sunsets are fantastic from this beach. Enjoy an ice-cold beer and absorb the laid-back surroundings. Still retaining old island charm, the few restaurants and bars are made from local driftwood. Most people come here for spectacular sunsets. On clear days the sky reflects gold, pink and purple as the glowing red sun dips behind the ocean. Sunset Beach is Lipe’s smallest, and probably quietest beach, with Walking Street about 15 minutes away on foot. Basic accommodation is available. There is a dive centre offering daytrips and full certification. 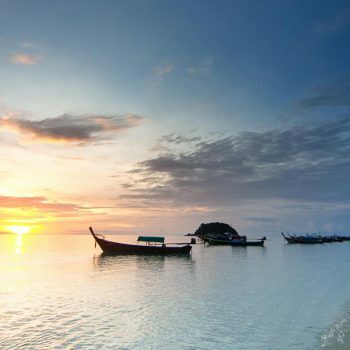 White sand, clear water, good snorkelling and vibrant nightlife, Koh Lipe’s largest beach is busy and exciting. Stretching the island’s entire east coast, Sunrise Beach is perfect for long walks. 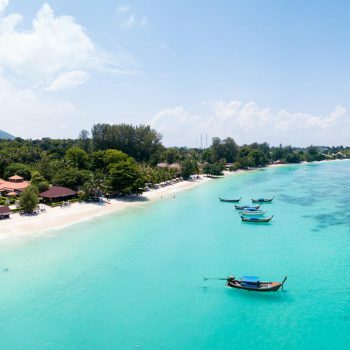 Offering the best snorkelling on Lipe, at high tide you can snorkel around Koh Kra and Koh Usen, two tiny islands located right off the beach. Teeming with marine life and protected from monsoons, Sunrise Beach is quiet and sophisticated. 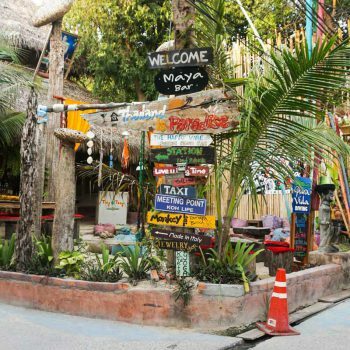 The centre of Koh Lipe's eating, drinking, shopping and nightlife, Walking Street comes alive when the road closes to motorbikes at sunset. Listen to live music, buy a locally made souvenir, get a tattoo, enjoy a massage or dine in an upscale restaurant.